Most top cryptocurrencies favour security and omnipresence, but privacy more in their sales pitch, than in practice. Which is alright, because privacy is making a come back in the crypto scene soon and there is a currently still undervalued privacy project called CLOAK waiting for the limelight when this happens. CLOAK will likely be a great opportunity for investment, because it was a closed-source project for a long time, due to which it went under the radar. On New Year’s Eve 2017 the team released the code, which they had been working on for 3 years, on their Github. Looking at their Roadmap, the team is clearly ambitious and will be busy in 2018 too. 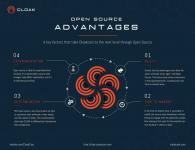 Being open source will attract CLOAK a lot of attention, both from traders and developers. The revision will likely spike the project’s value - in price as well as in functionality and security. Monero (XMR) is perhaps the best known privacy coin in the market. It has a long history and grew tenfold in value this year. You will notice that the top cryptocurrencies are overwhelmingly first generation projects. Hence, most of them, including Monero, are based on Proof of Work. But we need to ask ourselves whether Monero is equipped to meet the demands of the future. CLOAK and Monero both use stealth addresses and coin mixing. Monero uses RingCT and in CLOAK, this is achieved with Enigma (whitepapers here and here). However, in order to hide transactions from third parties, CLOAK also runs CloakShield in the background. It encrypts all activity on the blockchain by layering, similar to how onion routing works in the TOR network. Monero is developing their own code called Kovri for layering, which they claim to be more secure than onion routing. But it’s still miles away from being friendly to use, so CLOAK is clearly ahead on this. Monero uses Proof of Work. However, an investment that goes into sustaining PoW coins devalues over time, because PoW coins require expensive hardware, a lot of computational power and electricity. In February 2017, Monero required an estimated 40 000-80 000 USD to secure its network every single day. So the environmental cost is considerable. CLOAK, on the other hand, is purely Proof of Stake. PoS integrates the security and running of the blockchain into the coins instead of separate mining equipment. It, therefore, saves not just on hardware, but also on electricity. Staking involves running inexpensive, electricity efficient devices (such as Raspberry Pi’s) that require no more power than an LED bulb, giving CLOAK a clear advantage in the environmental sustainability category too. PoW mining has a tendency to centralize into the hands of a few, especially to investors with lots of money to buy hardware or to the hardware developers themselves. Some of the biggest pools in Bitcoin are owned by hardware producer Bitmain. Monero’s PoW algorithm, CryptoNite, is designed ASIC resistant. This protects against miner centralization, because creating ASICs for this type of mining remains unprofitable. But cheap memory intensive ASICs will likely be developed in the future. And even now, Monero mining is dominated by 3-4 big pools. By using PoS without Master Nodes, anyone with CLOAK can stake their coins to the service of the blockchain. Consensus and security in CLOAK is reached based solely on the amount of coins in staked wallets. CLOAK, therefore, achieves a much wider spread of governance across the blockchain, bringing true decentralization. Monero doesn’t reward its already existing coin holders with anything. New Monero is earned solely through investing into CPU/GPU and using these to mine. To stay competitive with increasing hashrate, miners have to keep investing into more equipment. To motivate coin holders to stake their coins into the service of the blockchain, CLOAK uses PoS without Master Nodes. As a result, CLOAK rewards all of its coin holders with 6% on their holdings per year. It’s a very attractive solution. No traditional investment yields a return of 6% annually. 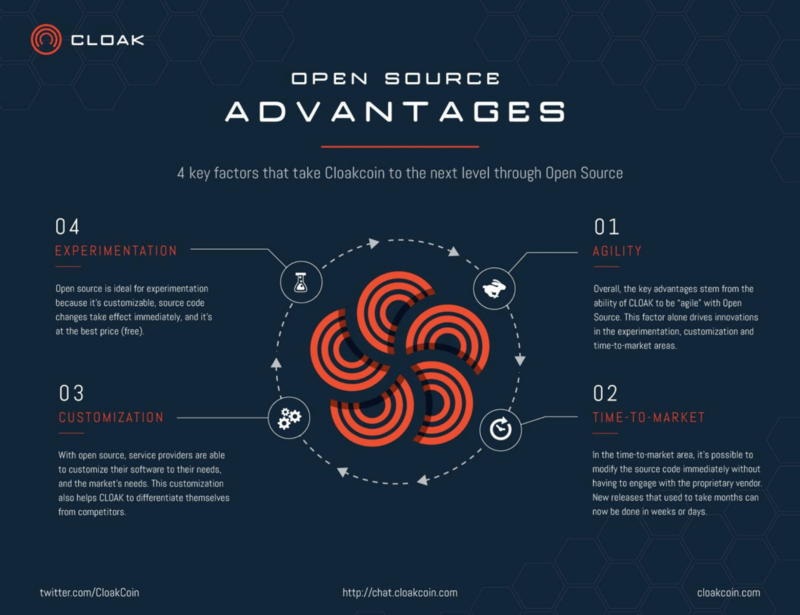 The deciding factor for many is what they can get from their investment into either coin and, again, CLOAK has an advantage here. Monero’s official GUI wallet is still in Beta. There are many unofficial GUI wallets that have been created by the community. In terms of functionality, they are both good privacy coins with dedicated teams and lots cooking under the hood (CLOAK got itself a new developer team in 2016). But CLOAK has a number of advantages over Monero. While tech is constantly evolving and Monero may switch to PoS or some other newer algorithm in the future, switching is labor and research extensive and therefore quite a tricky business. The price of CLOAK is also only 25 USD; it has a circulating supply that is 3 times smaller than Monero, and it rewards all coin holders without needing separate resource-costly mining equipment. With all of this in mind, CLOAK is surely set to be the next big cryptocurrency. And there is an opportunity here to invest relatively early in a project that will likely do very well in the future.